Our Supplied Copper Nickel Flanges Are Extremely Resistant To Organic Compounds, Seawater, Diluted Non-Oxidizing Acids, Brine Water, Salts, Etc. Cu Ni Flanges Display Strong Resistance To Marine Life Of The Likes Of Barnacles And As Such They Are Used A Lot In Piping Systems In Seawater. Cupro Nickel Flanges Are Used To Connect Together Pumps, Pipes, Valves And Other Kinds Of Equipment And In This Way, By Using These Flanges Of Copper Nickel, A Piping System Can Thus Be Formed. With The Employment Of Cuni Flanges In This Manner, Easy Access Is Thus Gained For Modification, Inspection And Cleaning. Copper Nickel 70/30 & 90/10 Flanges Are Either Screwed Or They Are Welded. Flange Joints Of Cu Ni Flanges Can Be Made By Using A Gasket Between Two Copper Nickel Flanges That Have Been Bolted Together And In This Way Providing A Seal. Solitaire Overseas Manufactures Various Types Of Cu Ni Flanges, Including The Likes Of WNRF (Weld Neck Raised Face Flanges), Reducing Flanges, Slip-On Raised Face Flanges (SORF), Orifice Flanges, 90/10 Groove Flanges, En 1092-1 Flanges, Blind Raised Face Flange (BLRF), Cuni Forged Flanges, Socket Weld Raised Face Flanges (SWRF), Ring Type Joint Flanges, Bs 10 Flanges, 70/30 Screwed / Threaded Flanges, Din Flanges, Cupro Nickel Flat Face Flanges, JIS Std Flanges, Plate Flanges, Copper Nickel Spectacle Blind Flanges, Bs 4504 Flanges And Ansi / Asme / Asa B16.5 Flanges. Cupro Nickel Flanges Can Be Obtained In Many Types, Based On The Need For The Flange. There Are Some Standard Types Of CuNi Flanges That Are Available And These Are Slip On Cu Ni Flanges, Lap Joint Cu Ni Flanges, Welding Neck Cu Ni Flanges, Threaded Cu Ni Flanges, Socket Weld Cu Ni Flanges And Blind Cu-Ni Flanges. Besides These Standard Flanges, There Are Also Some Special Copper Nickel Flanges That Are Available And These Are Expander Flanges, Reducing Cu Ni Flanges And Long Welding Neck Copper Nickel Flanges. Pipe Flanges Can Be Procured In Various Kinds Of Materials Such As The Likes Of Cu Ni Flanges And Also Aluminium Flanges, Plastic Flanges, Bronze Flanges, Cast Iron Flanges, Stainless Steel Flanges, Brass Flanges, Etc. But, One Of The Most Important Types Of Flanges, One In Big Demand In Various Industries And Applications All Over The World, Are CuNi UNS C71500 Flanges. Cupro Nickel Flanges Provide Excellent Resistance To Crevice And Stress Corrosion Cracking And Also To Pitting In Chloride Solutions. CuNi Din Flanges Have Superb Electrical Conductivity, Machinability And Heat Conductivity. Flanges Made From Copper Nickel Also Exhibit Superb Resistance To Biofouling And Corrosion. Copper Nickel UNS C71640 Flanges Are Non-Magnetic And They Are Capable Of Retaining Their Electrical Properties, As Well As Their Mechanical Properties, Even At Cryogenic Temperatures. Because Of All The Properties Displayed By Copper Nickel UNS C70600 Flanges, They Are Used In Various Applications And Processes Such As Pharmaceutical Equipment, Electrical Wiring, Heat Exchangers, Power Generation, Specialty Chemicals, Petrochemicals, Roofing, Condensers, Chemical Equipment, Off-Shore Oil Drilling Companies, Sea Water Equipment, Cladding, Pharmaceuticals, Pulp And Paper Industry And Gas Processing. Copper Nickel Blind Flange Is Used For The Sealing Of Pressure Vessel Openings Or For The Sealing Of The End Of Piping Systems. Cu Ni Blind Flanges Are Used To Test The Flow Of Liquids Or Gases Through A Vessel Or A Pipe. In The Event That Work Has To Be Carried Out Inside The Pipe Line, Due To The Use Of Cupro Nickel Blind Flanges, Easy Access Can Be Carried Out In The Pipe Line, So As To Enable The Work To Be Accomplished With Ease. Cu Ni Blind Flanges Are At Times Also Used In High Pressure Applications. CuNi Pipe Flange Can Be Obtained In RTJ Facing, Flat Face Or Raised Face. In The Event That There Is A Need For Cu Ni Blind Flanges To Have A Raised Face, The Standard Height Of These Cu-Ni Blind Flanges Under 400#, Would Be 1/16″. And The Raised Face Height Of Cupro Nickle 70/30 Flanges Of 400# And More, Would Be 1/4″. We Export And Supply Cu Ni Blind Flanges In All Sizes, Specifications And Material Grades. Solitaire Overseas Is A Fabricator, Stockist, Suppliers, Exporters Of Copper Nickel Flanges Of The Highest Quality And International Standards. 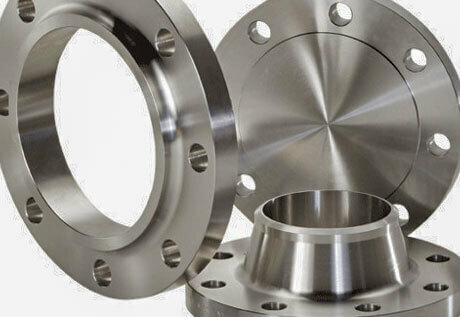 To Manufacture These Flanges, We Use Nothing But The Very Best Quality Raw Materials. We Supply Them To Companies Situated In All Corners Of The World. 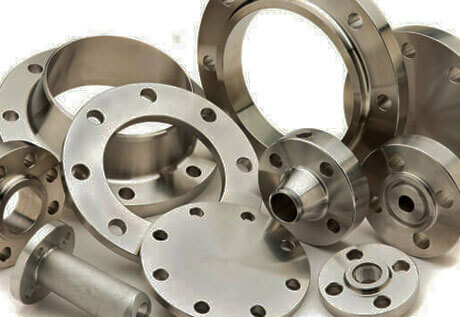 We Are One Of The Oldest Supplier Of Copper Nickel Flanges In USA, UK, Saudi Arabia, UAE, Abu Dhabi, Kuwait, Canada, Colombia, Australia, Europe, Germany, Etc. These Cu Ni Threaded Flanges Can Be Procured From Us In Various Dimensions And Thicknesses And We Also Tailor-Make Them, Based On The Specific Needs Of Clients. We Manufacture Only The Highest Quality Copper Nickel Flanges And You Can Obtain These From Us, At The Most Economical Rates. For All Your Needs Of UNS C70600 & C71500 Copper Nickel Flanges, Be Sure To Call Us, You Will Be Very Happy You Did. ASTM /ASME SB 61, SB 62, SB 151, SB 152. DIN, ANSI/ASME B16.48, B16.5, BS4504, BS 10, EN-1092, etc. ANSI, ASME, BS, DIN, EN, etc. 150 LBS, 300 LBS, 600 LBS, 900 LBS, 1500 LBS, 2500 LBS DIN. Test Certificates certifying NACE MR0175 and NACE MR0103. Of Course, These Are Only Some Of The Documentations That We Supply And Some Of The Quality Tests That We Carry Out, There Are Many More.